Two recent graduates from the University of Papua New Guinea’s School of Natural and Physical Sciences have just returned from the United States with a fresh insight into the oil and gas industry thanks to Oil Search and the Energy & Geoscience Institute (EGI). EGI has the largest University based industry research program in the world, and is a companion organisation to the University of Utah in Salt Lake City. EGI is home to leading experts in the fields of geology, geophysics, geochemistry, and engineering. EGI is the world’s largest University based industry cost-shared upstream E&P research program of its kind, with over 60 Corporate Associate members representing 20 countries. The institute is uniquely positioned to engage high caliber, innovative, and creative geoscience and engineering professionals to expand the body of scientific research and knowledge in the hydrocarbon and geothermal fields for both industry and government projects. Oil Search is a Corporate Associate member of EGI, which allows Oil Search access to proprietary research data, cutting edge technology and expert resources. A need for professional development connected Amy Kaumi and Velencia Komun to Australia-based EGI Affiliate Scientists Drs. John Conolly and Simon McDonald, who at the start of 2016 were in PNG conducting sampling activities for EGI’s Southern Papuan Basin Integrated Petroleum Systems Project, to which Oil Search is a financial contributor. The Project aims to use EGI’s state of the art analytical techniques in order to: (1) delineate the richness, quality and maturity of potential hydrocarbon source rocks; and (2) geochemically characterise a suite of PNG’s oil and gas samples. 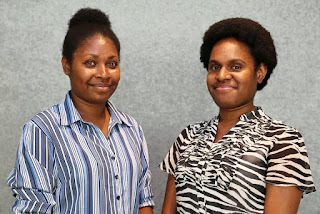 Amy and Velencia were hired to assist the scientists with rock sample collection at the Department of Petroleum and Energy (DPE) in Port Moresby. The sampling support led to Amy and Velencia being invited to access an amazing further education opportunity through a six month secondment to EGI’s headquarters in Salt Lake City. 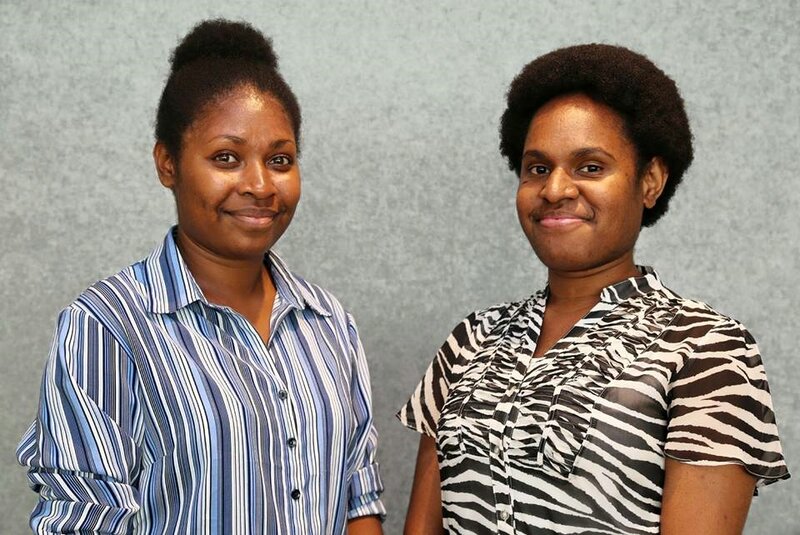 Oil Search generously provided financial support to ensure that these two women were able to take advantage of this opportunity to further develop their knowledge and their careers as well as continue to help to progress an exciting area of geological research in PNG. Amy and Velencia flew to Salt Lake City in January 2017 and have just completed their secondment to the institute and returned home with a deeper understanding and appreciation for petroleum geology and its many aspects. A portion of Amy’s work focused on geochemical analysis of oil samples while Velencia did work on structural traps. They did this work using a mixture of published, open file (publicly available data held by the DPE), and new data collected in PNG and analysed at EGI in the USA. “Our experience as research assistants on this project has given us access to information and technology that would otherwise be unavailable, if we were back in PNG. Most graduate geology students in PNG do not have the opportunity to be part of research programs let alone with an institution of EGI’s global stature. “Oil Search is proud to be able to support the advancement of geoscience education, particularly when it helps PNG women access international further education opportunities in the interest of building their core oil & gas industry skills which are of direct relevance to PNG,” said Shane Schofield, Oil Search General Manager for PNG Exploration.